The “Pele Collection” is unprecedented and extraordinary. It covers every stage of his career — both personal and professional. The collection offers a story of sorts from his signing with Santos FC in 1956 at the age of 15 all the way through his post-career humanitarian efforts and being named Santos FC’s Lifetime Global Ambassador for the club in December 2014. Born as Edson Arantes do Nascimento on October 23, 1940, in Três Corações, Brazil, soccer legend Pelé became a superstar with his performance in the 1958 World Cup. Pelé played professionally in Brazil for two decades, winning three World Cups along the way, before joining the New York Cosmos late in his career. Named FIFA co-Player of the Century in 1999, he is a global ambassador for soccer and other humanitarian causes. A member of three Brazilian World Cup-champion teams, Pelé is considered by many to be the greatest soccer player of all time. 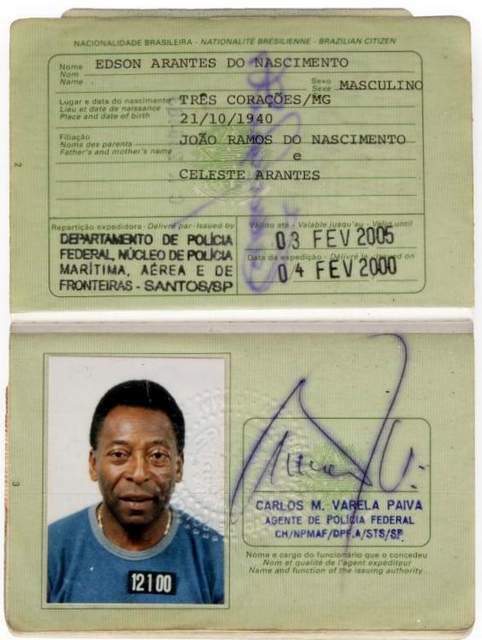 The collection included not less than fifteen (15) of his expired Brazilian passports from 1960 to 2007. 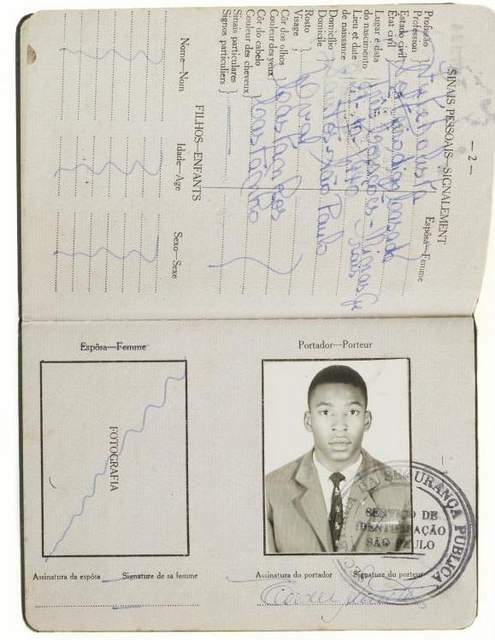 The starting price of £350 ($510) went quickly up and some of his passports reached £12160 ($17720)! 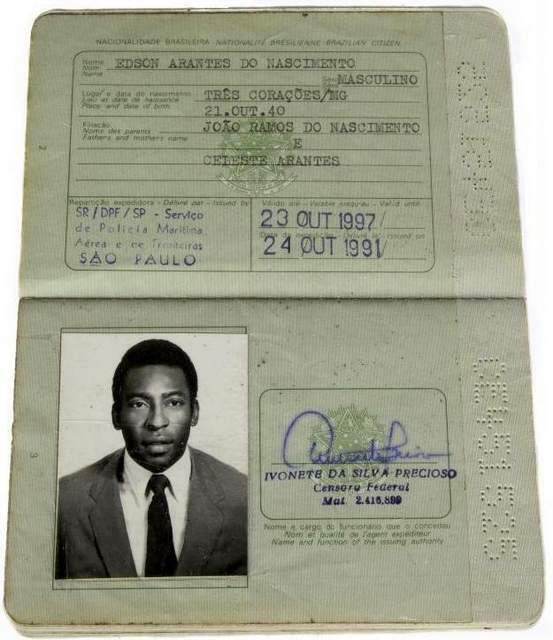 But on the hammer price you had to add a 25% premium which means the final price including premium end up at £15200 ($22150) for his Brazilian passport from 1970 when Pele was 30 year old. Initial price was £750!